The world just lost a legend. Reports have been coming in for the last hour that legendary soul singer Bobby Womack has passed away at the age of 70. The news was confirmed by his label, XL Recordings. No cause of death has been found at this time. That said, in recent years Womack has battled colon cancer and was rumored to have begun developing Alzheimer’s disease. 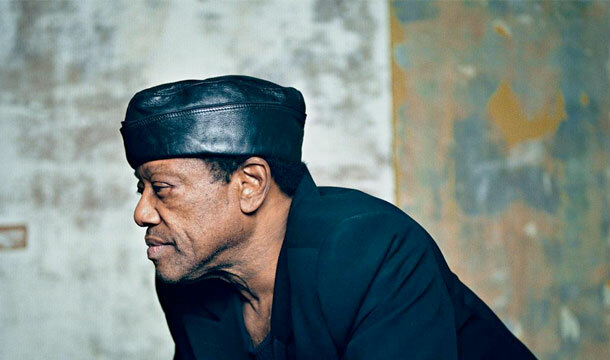 Bobby Womack was born in Cleveland, Ohio in 1944. When he was 10, Bobby partnered with his brother, Curtis, to form a musical group known as the Womack Brothers. Sam Cooke, the legend behind Sun Recordings, eventually discovered the brothers and kickstarted what would become one of the most critically acclaimed careers in music history. Womack’s career took a turn in the 1970s when he became a songwriter for acts like The Rolling Stones, Aretha Franklin, Sly Stone, Wilson Pickett, and many more. It was also during this time that he had his first big solo hit, “Lookin For A Love.” You can stream that song, in full, at the end of this post. They say a creative person’s work is never finished, and that certainly seemed to be the case with Bobby Womack. He continued to create and perform right up until the end of his life. His twenty-eighth and final studio album, The Best Is Yet To Come, is expected to hit stores later this year. I know a lot of younger readers may not be as familiar with Bobby Womack as their parents, but his impact on pop culture has rippled throughout the world of music, film, television, and beyond. He is an icon who will never be forgotten. Rest in peace, Bobby. You will be missed.